The geyser water heater is an essential aid in the kitchen as well as the bathroom. While it is widely used in the bathroom, its use in the kitchen is only restricted to the winter months. 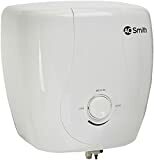 If you do not possess one and are in urgent need of buying it, below are given some features which will help you choose the most appropriate geyser as per your requirements. Gas water heaters that run on LPG. 35litres or more is for 4 and more people. Energy efficiency: Geysers with low energy consumption but high degree of efficiency are better options than the ones which are not. Since the energy efficiency is denoted by its star rating, the greater the number of stars the better is its efficiency. Water type compatibility: The water type of the area where it needs to be installed also plays a very important role. In areas with hard water, only geysers which are compatible with it need to be purchased else depositions from this hard water will damage the coils of the same. Pressure pump compatibility: This requirement comes into play when these geysers need to be installed in high-rise buildings since geysers have a tendency to leak due to high water pressure. Thus it is necessary to ensure that the geyser is equipped with pressure pump compatibility features, if installed in high-rise buildings. After sales service: The geyser is a sensitive device which needs to be properly maintained for it to give good service. Hence brands offering good after sales service are always more popular than those that don’t. Style: The design of the geyser should also be taken into account so that it goes well with the colour theme of the bathroom where it is to be installed. The utility of the geyser water heater is best felt during the cold winter months when heated water becomes a necessity for taking a bath. 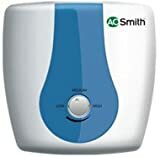 Geyser Water Heater prices starting from INR 3000 and going up to around INR 8000 this gadget is a must have for all homes. The price is in sync to the capacity, features and facilities it provides and thus there are some very high end ones too which are priced at INR 20000 and above.